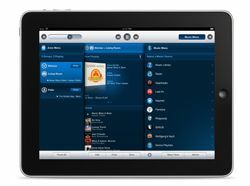 Apple iPad 3 looks set for March release | What Hi-Fi? The rumour mill has of course been churning for months now, with specifications set to include a higher resolution, 2048 x 1536 Retina display, and a bigger storage capacity, should you believe them. A new incarnation of Apple's iOS and possibly a better camera are also expected to be on the latest iPad. Should the iPad 3 be announced in early March we can expect it to go on sale, based on previous Apple launches, within a few weeks both in the US and UK.